Mom and Pop — and the Kids Too! Because I was born in Pittsburgh Pennsylvania and grew up there, I knew of many famous families that lived in and around the area who contributed to Pittsburgh’s growth. There were the Carnegies, the Mellons, Westinghouse and the Heinz family—who doesn’t love Heinz ketchup right? Many of these families grew mega fortunes and all are names most know of today, even if we weren’t born in the “burgh" as they say. But what about successfully run small family-owned businesses that made it big that are not so well-known? Well, my first two picks are from Pittsburgh and these two families worked hard to make it big all while keeping it in the family. And by the by, there are eight more top family-owned businesses to read about from all over the United States. 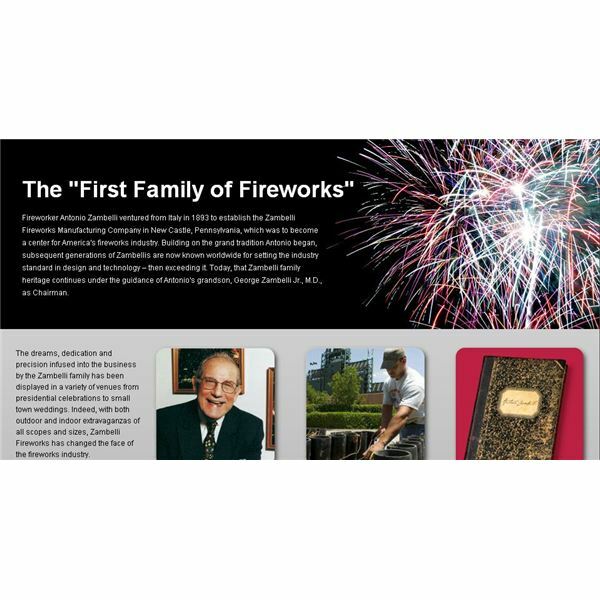 Known as the “first family of fireworks," Zambelli Fireworks provides pyrotechnic displays for more events than any other company in the United States and an average year for them includes over 2,000 displays—most on the 4th of July. Back in 1893, Antonio Zambelli came to America from Italy and started the company which still maintains its head office in New Castle, Pennsylvania (a suburb of Pittsburgh). For generations, the business has stayed in the family and is now overseen by George Zambelli, JR., M.D., who is the Chairman of the company. Because George Jr. is a surgeon, the Zambellis have hired on George Taylor to run the show until the young Zambellis can take over operations. This is no tiny company. Designers and architects of the company who create these fantastic pyrotechnic shows make big bucks—anywhere from $75,000 to over $200,000 per year and their sales each year hover around the $4 to $5 million mark. Who knew Antonio’s dream would take this company so far in the world of fireworks and spread the world with oohs and ahs from their innovative and exciting displays? In 2009, Sports Illustrated placed the Rooney Family as the first family of professional sports and for good reasons. In was back in 1932 when patriarch Art Rooney won big at the races, horse races that is, and invested his $250,000 winnings in professional football. Rooney, born in Coulterville, Pennsylvania, just outside Pittsburgh said, “My mother’s people were all coal miners and my father’s people were all steel workers." 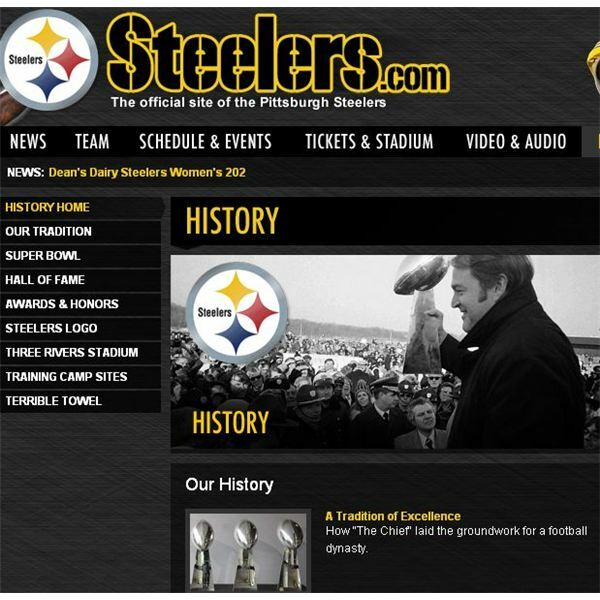 This made for the beginnings of what is the Steeler Nation full of blue (and white) collar fans, but mostly the former. Dan Rooney remains busy as the Ambassador to Ireland and his son Art Rooney II manages the team these days with Dan’s helpful insight. The Rooney family won two more Super Bowl titles after Patriarch Dan died in 1988. The Steelers remain the only team in the NFL to hold six championship titles and they have more players inducted into the NFL Hall of Fame than any other team. This is one family who continues to hold true to traditional football ideals and values and the “Chief" as everyone called him, Art Rooney once said he was proud to be a Pittsburgher because, “If you ask a Pittsburgher where someplace is, he’ll stop and tell you, and if he has nothing to do, he will take you there." The Rooneys are a great family who turned a football franchise into a traveling nation full of fans across the United States. Today’s Omaha Steaks isn’t just about steaks anymore—they sell lobster and even complete meals. J.J. Simon left Riga Latvia in 1898 with his son B.A. in tow, and after a stop at Ellis Island, they took a train until they found land that reminded them of the farmlands of Riga. That, my friends, was Omaha, Nebraska. It was a meager beginning when the company started in 1917, but the Simons were already known for the most tender and flavorful beef. In 1929, B.A.’s son Lester joined the company and in the 1940s, with the Union Pacific Railroad looking for top quality food to serve on its trains, it became their largest customer. It was in the mid-1950s when Lester decided Omaha Steaks could be a mail-order company delivering their frozen cuts from Omaha to homes all across the United States. By 1963, still operating under the original name of the company, the Table Supply Meat Company, catalogs were sent to customers offering meats, poultry, fish and all sorts of sumptuous food, now vacuum packed for freshness. The Simons became quite successful sending cuts of meat to the White House and to international clients. In 1966, with a new building in Omaha also came a new name, Omaha Steaks International, Inc.
By 1987, the Simon family had a full call center with a toll-free number for instant ordering. Today, the company has over 1.5 million customers. Not only do their products exceed the Department of Agriculture standards, the Simons are still running the show! As their motto says, "Give, Savor, Celebrate," today’s Omaha Steak customers range from corporations using gift cards and gift baskets as incentives and gifts to individuals sending tasty and delicious offerings to friends and families everywhere. When Christian Frederick (C.F.) Martin Jr., who was born in 1825 in Germany, began making guitars at the age of 15 (under his father’s guidance). who knew this guitar mega giant would still be in existence today? C.F. wasn’t fond of the restraints placed on his guitar-making in Germany, so in 1833 he moved to New York City and opened a store on Hudson Street (Lower West Side). 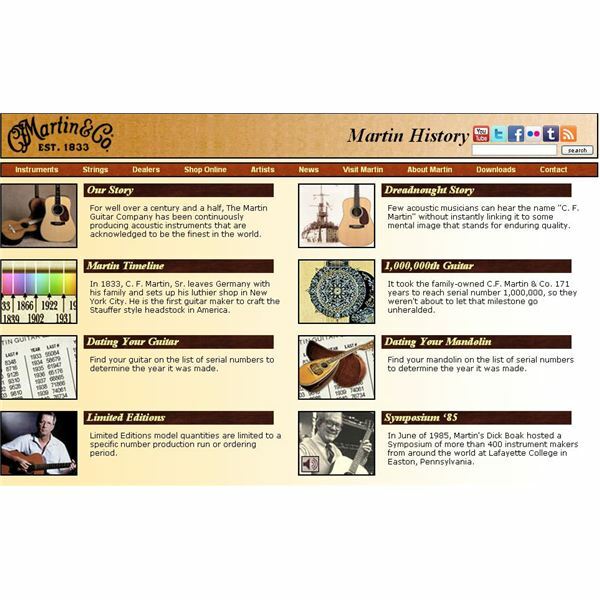 As Martin Guitar’s website says, the shop was “a far cry from the company’s current 84,000 square-foot factory staffed by nearly 500 employees." C.F., Jr.’s influence was taken over by son Frank Henry Martin in 1888. By the 1890s, they were producing mandolins as well as guitars. Along the line, C.F. Martin III’s son Frank Herbert Martin also entered the business, and in 1933, he made a guitar for the famous singing cowboy, Gene Autry. In 1955, Christian Frederick Martin IV was born and would continue the family tradition of making what are considered the best guitars out there. “Chris" as he likes to be called remains the CEO of Martin Guitars today. It took 171 years for this 175-year old company to produce its 1,000,000th guitar—but the standards for workmanship and quality remain the same. Most of you probably haven’t heard of this musical instrument giant, which began as far back as 1623! It was in that year Avedis Zildijan I was given permission to open his cymbal business in a suburb of Constantinople and now, as their website says, “That same business is now nearly four centuries old." What’s amazing is Avedis, an alchemist, discovered a combo of copper tin and silver could be made into cymbals of “spectacular clarity and power," offers the website timeline. It wasn’t until 1929 when Avedis III decided to come to America, starting out in Quincy, Massachusetts and finally ending up in Norwell, Massachusetts, to celebrate the business's 350th (wow) anniversary. In 1977, Avedis III passed the reigns to son Armand and then it fell to Armand’s daughter Craigie in 1999. Today, Craigie and her sister Debbie are still in charge, and Zildijan Cymbals is considered to be the oldest family business in America. 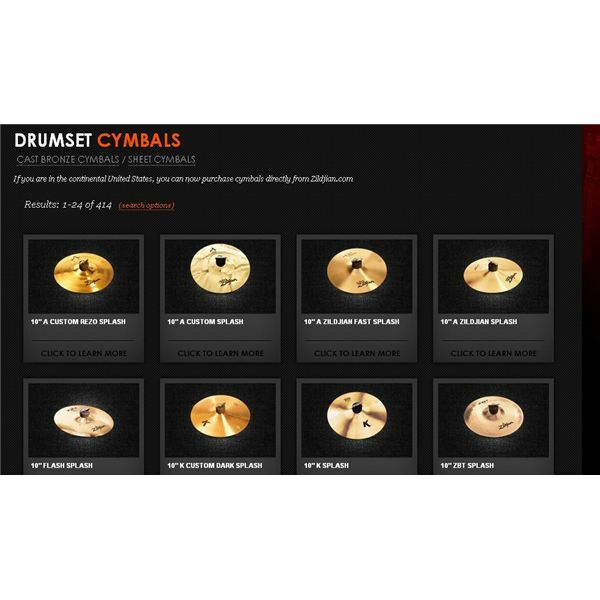 A trip to their website offers up 414 types of cymbals so if becoming a cymbalist is your game, this family-owned business is the place to shop. When the Beatles appeared on the Ed Sullivan Show in 1964, they demanded Zildijan cymbals—quite a statement! Believe it or not, this family owned business is now in its fifteenth generation of ownership with average annual sales of around $50 million. 6. 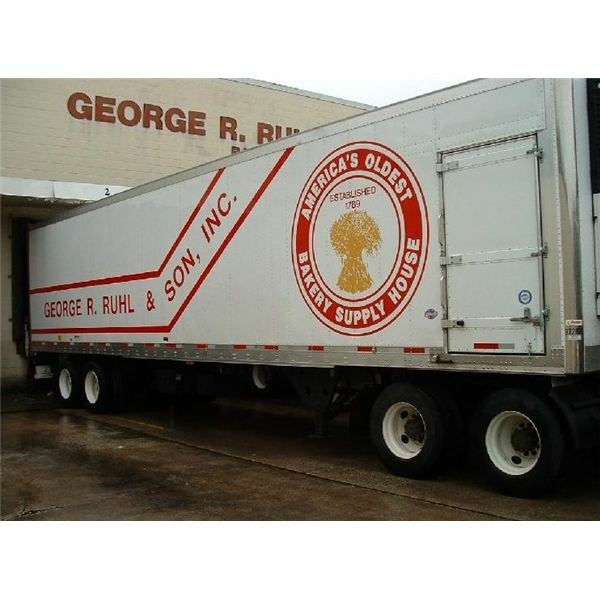 George R. Ruhl & Son, Inc. If you own a bakery, you already know about this supply company founded in 1789. Bakers need supplies and this sixth generation family owned business ensures needed products make it to their customers. The first father of this business, Conrad Ruhl began it all and passed the business to great-great-grandson George R. Ruhl. They are still serving bakery houses everywhere from the company homebase in Hanover, Maryland. Currently the company distributes over 2,500 brand name products. According to their website, the warehouse has “60,000 square foot of dry storage and 120,000 cubic feet of freezer space." Their distribution territory covers Maryland, Delaware, Virginia, Central Pennsylvania and Washington, D.C. We all know with all those political parties, especially in our nation’s capital, bakery supplies are indeed a staple. The words, “Let them eat cake" really mean something to this family biz, which currently sells approximately $30 million in bakery supplies each and every year. 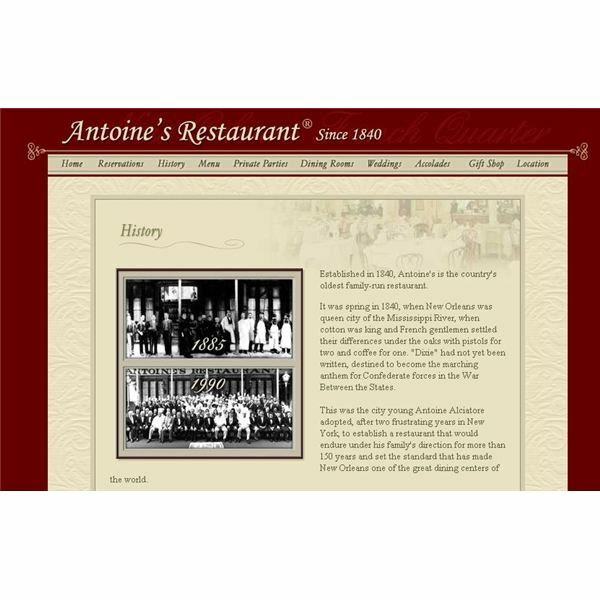 Now we turn to the oldest restaurant family-owned business, Antoine’s Restaurant established in 1840 in New Orleans. They specialize in French-Creole cuisine and have 14 dining rooms that can seat over 700 guests! Founded by Antoine Alicatore, the man chose the name “Antoine’s" as he wanted his name to become synonymous with “good food," offers their website. In 1874, when Antoine passed, the next generation, Jules studied in France. Upon his return to the restaurant, he invented Oysters Rockefeller and led the restaurant with his culinary excellence until his death in 1972. Jules’ son Roy Louis carried on the tradition of Antoine’s from 1975 until 1984 and after, Antoine’s fell to his brother-in-law’s son Bernard “Randy" Guste. As Randy likes to tell his customers “The greatest feast has yet to be served!" With annual sales of around $20 million, this family owned bell and clock business started in 1842 in Cincinnati. 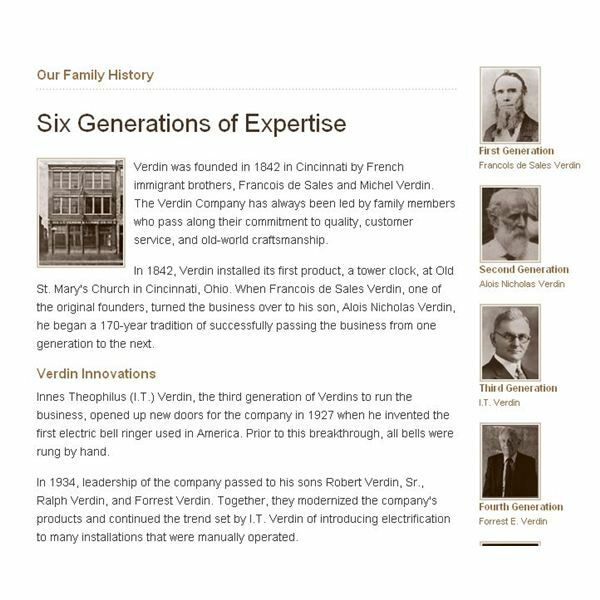 Six generations of Verdins have run this company that makes bells, carillons, tower and street clocks, and even electronic digital bells. Today, Bob, Tim and Tom Verdin represent the sixth generation of this family business which was started by two French brothers, Francois de Sales and Michel Verdin. According to their website, “The Verdin Company has always been led by a family member who passes along the commitment to quality, customer service, and old-world craftsmanship." The very first clock? It was at Old St. Mary’s Church in Cincinnati—a tower clock. The company and its 150 employees also service the products they make. A visit to their website will always remind you about Daylight Savings Time and of course, the correct time. A family business since 1853 with annual sales of approximately $13.5 million lands this Westbury, New York company on our top ten list of lesser known family businesses that made it big. Founded by Isaac Hicks, who sold trees to neighbors, it was decided a good name back then for his business would be Hicks and Son. Isaac’s son Edward invented and patented equipment that could move large trees, according to their website. After Edward came Henry, who studied botany and traveled Asia and Europe, bringing back a plethora of offerings to include as products. 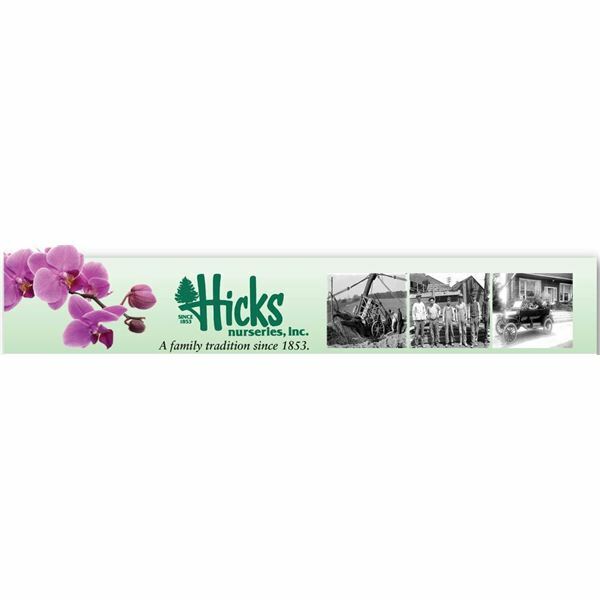 It was in 1930 when the business became known as Hicks Nurseries when customers could “walk-in, and cash and carry" home plants. In the 1960s, Hicks had over 245 acres of nursery space. Retail greenhouses came later in 1972. Their history timeline details how the greenhouse covered 4,000 square feet, and in 1976, a 6,000 square foot greenhouse was added. In 1996, another major renovation came replacing the greenhouses of the 1970s. Today, Hicks Nurseries holds a ten-day Spring Flower and Garden Show. Otto the Ghost, who appears at Halloween, is well-known to Hicks' customers. Who says an entire family can’t have a green thumb? 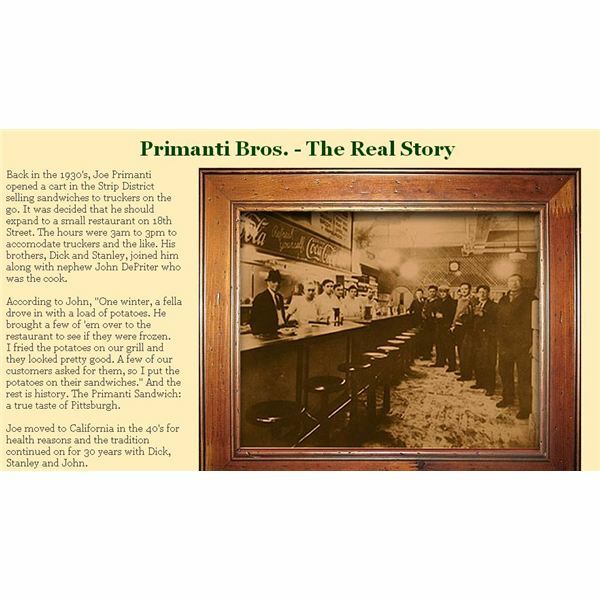 Well, I said I’d reveal two Pittsburgh family owned business who did well, but I just couldn’t end this article without a nod to the Primanti Brothers—a Pittsburgh tradition of the unusual. It all began with Joe Primanti who had a sandwich cart, selling in a part of Pittsburgh known as the Strip District—mostly to truckers who brought in fruits, fish and other wares to be sold. He kept his cart open from 3:00 am to 3:00 pm to handle the truckers' hunger. If you’ve never been to this Pittsburgh tradition and must-eat at eatery, sandwiches in the old days all (and I mean all, no matter what type) came with French fries and coleslaw – on the sandwich, in the bun. Tuna on rye with coleslaw and fries. Yummy! Joe, due to his health, had to move to California and sold the business in 1974 to Jim Patrinos who now keeps it in his family. It wasn’t until around 1998 the Patrinos family felt if customers wanted the fries and coleslaw on the side, it was okay. Today, there are 17 Primanti Brothers Restaurants in and around Pittsburgh and three in Florida—well, that’s where the Pittsburgh Pirates hold Spring Training and they’ve got to eat something, right? Now I’m hungry…I wonder if they deliver to Texas?